CORPUS CHRISTI, TX — Former Dallas Cowboys tight end, Jay Novacek, will be the guest speaker on Saturday April 25, 2015 at Big Frank’s STX Hunting & Fishing Expo. The event takes place on the Lone Star Beers Main Stage at the American Bank Center Convention Center in Corpus Christi. Jay is schedule to appear from 12:30 pm –2 pm. 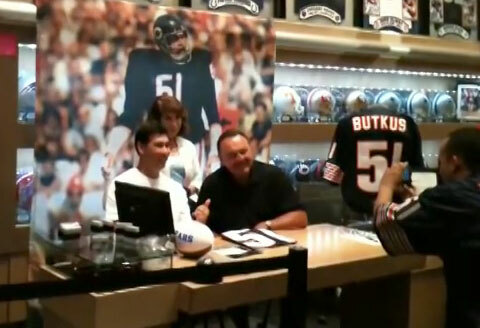 After Jay speaks, he will also sign autographs for fans. See the full schedule of events here. 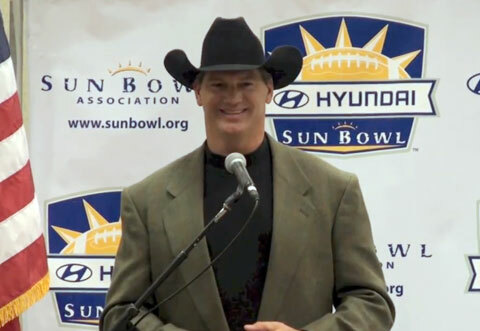 Photo shows Jay Novacek speaking at the Hyundai Sun Bowl Rotary Luncheon Dec.2012. 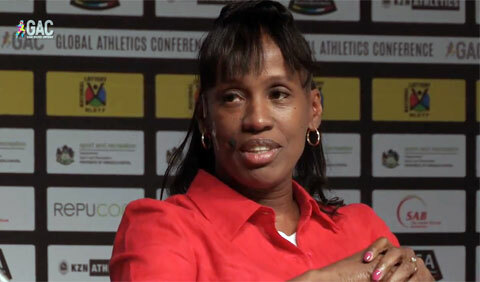 BIDWELL, OH — Olympic gold medalist, Jackie Joyner-Kersee, will be the keynote speaker for Gallia County’s 152nd Emancipation Celebration. The event takes place on Sunday, Sept. 20, 2015 at Bob Evans Farm located at 791 Farmview Road in Bidwell, OH where Jackie is scheduled to speak from 2-3 p.m. Source: Michael Johnson, My Daily Sentinel. COLUMBUS, OH – Ohio State two-time Heisman Trophy winner and president and CEO of the Ohio State University Alumni Association, Archie Griffin, will be the commencement speaker Sunday, May 10, at Ohio Stadium. Griffin will address more than 10,000 graduates, including his son Adam, and families and guests during the ceremony. Source: Cleveland.com. 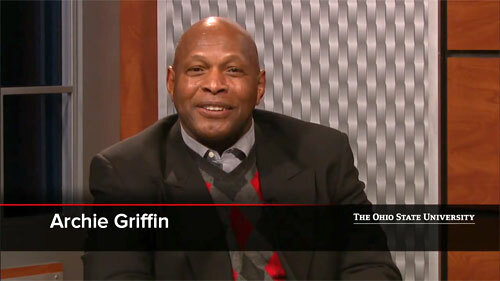 Archie Griffin speaking in a Feb 2014 interview with Ohio State president designate Michael Drake. DENVER, CO. — Join Denver All-Pro Wide Receiver Demaryius Thomas at the Demaryius Thomas Football ProCamp presented by SunnyD for football instruction and fun on July 18th-July 19th, 2015 at Mullen High School located at 3601 S Lowell Blvd in Denver, CO. 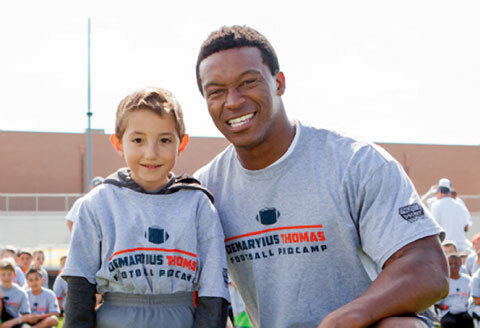 The Demaryius Thomas Football ProCamp is 9:00 am to 12:30 pm for grades 1 – 8 on both dates. Cost: $199 for Saturday and $159 on Sunday. For more info, click here. Photo shows Demaryius Thomas Football ProCamp presented by SunnyD. JUPITER, Fla. — Miami Marlins third base coach Brett Butler, a 17-year veteran, says he still finds it shocking when fans ask for his autograph during spring training games, but always takes pride in fulfilling the fans requests. Along with his name, Butler draws a smiley face, something inspired by his wife, who did the same in letters or cards to their kids. He noticed how it brightened their days and wanted to do the same. Source: Fox Sports. 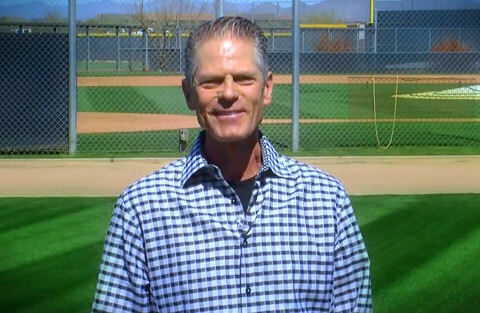 Photo shows Miami Marlins Brett Butler speaking about the movie “Home Run” in March 2013. MIAMI LAKES, FL. 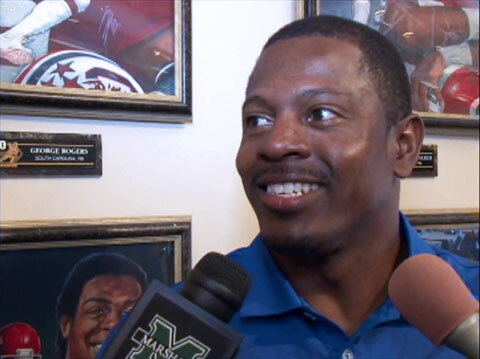 — Join NFL Hall of Famer Dwight Stephenson and friends at the 2015 Florida Memorial University & Dwight Stephenson Foundation Golf Tournament scheduled to be held on May 15, 2015 at the Shula Golf Club, located at 7601 Miami Lakes Drive in Miami Lakes, Florida. The event supports FMU educational programs. 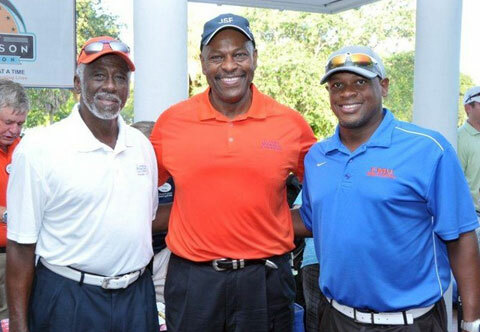 Dwight Stephenson with friends at the 2014 FMU and Dwight Stephenson Golf Tournament. PHILADELPHIA, PA — Join former Philadelphia Eagles quarterback, Donovan McNabb, at the NFL Play60 Character Camp for football instruction and fun on March 14, 2015 at the Eagles Practice Facility, located at 1 Novacare Way. The NFL Play60 Character Camp is 7:30 pm to 10:30 pm for Boys & Girls, Ages 8 to 13. The NFL Play60 Character Camps are closed to the public. Registration is available to various local youth organizations. For info, click here. 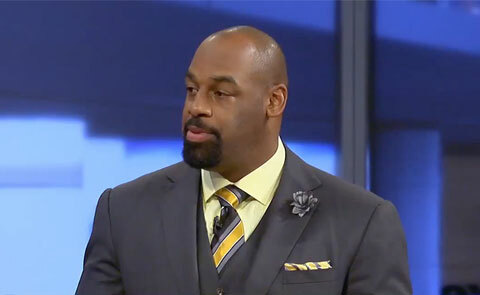 Photo shows former Philadelphia Eagles quarterback, Donovan McNabb, from a Jan. 2015 excerpt telecast on Fox Sports Live discussing NFL coach Mike Shanahan’s future. TAUNTON, MA — Join New England Patriots wide receiver, Troy Brown, at the NFL Play60 Character Camp for football instruction and fun on March 8, 2015 at Fore Kicks, located at 223 Fremont St.in Taunton, MA. The NFL Play60 Character Camp is 1:00 pm to 4:00 pm for Boys & Girls, Ages 8 to 13.The NFL Play60 Character Camps are closed to the public. Registration is available to various local youth organizations. For more info, click here.